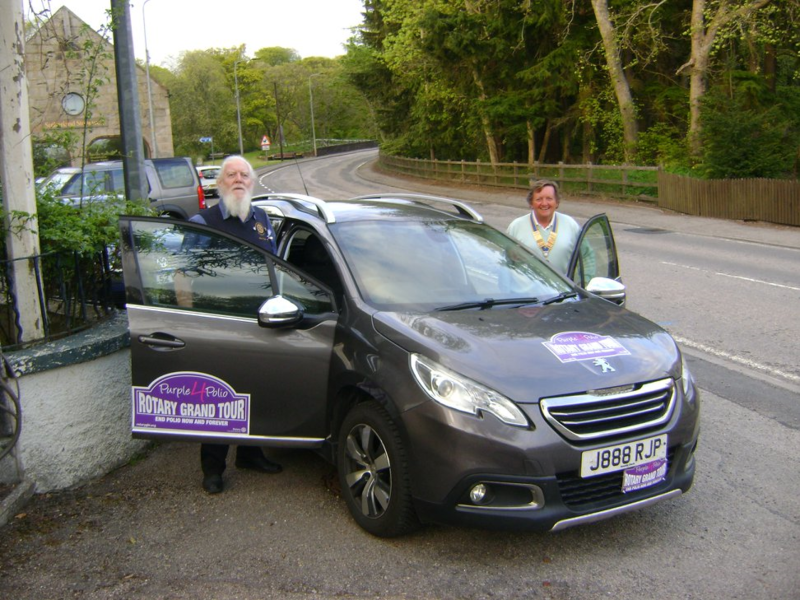 Not content with acting as“Tail-end Charlie” for Rotary Club of East Sutherland’s Classic Car Tour on 19th May, on Monday 21st May intrepid member Rob Pope, with his wife Leslie as navigator set off at 6:50am on the RIBI Purple for Polio Grand Tour. Day One took him to St Andrews, across the Forth Road Bridge and via Glasgow and Stoke to Monnow Bridge near Monmouth, atotal of 692 miles. 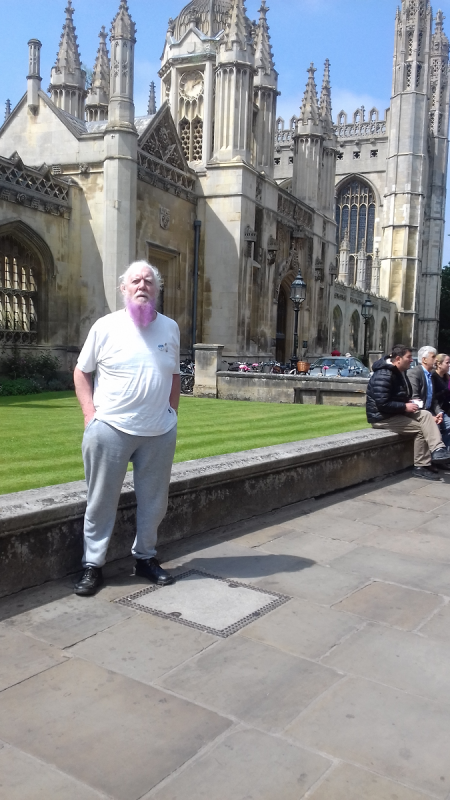 After a good night’s sleep it was on Brynmawr Market Square to have his beard sprayed purple by the RIBI President, before heading for the Yeovil International Motor Museum followed by Powderham Castle near Exeter. Tuesday night’s stopover was at the Brooklands Motor Museum, Weybridge. On Wednesday Rob visited Brands Hatch in Kent before heading North to King’s College Chapel, Cambridge with his next stop in complete contrast the Rockingham Motor Speedway near Corby Northamptonshire. Thursday was the final day and involved a drive to Halifax Minster, the final stop where many of the entrants met up to exchange stories and enjoy some well-earned refreshment. It was then back to Sutherland having covered 1886 miles. Rob’s splendid effort has raised about £850 for polio relief, so congratulations to him and Leslie.